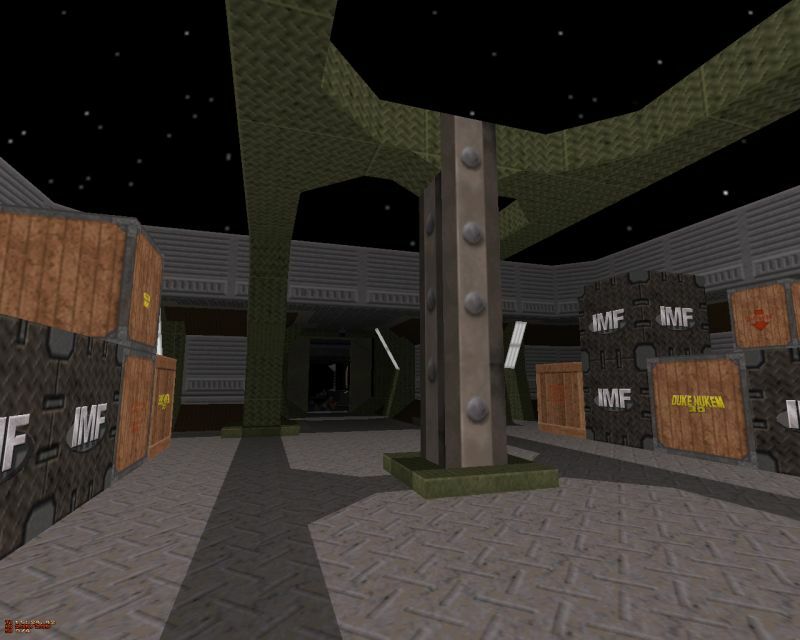 The review: HangNail appeared some years back, released a few maps (including a pretty enjoyable episode) and then disappeared. Now he's resurfaced with a map that's not unlike his first published map (or another non-reviewed map he released right before going on a break). 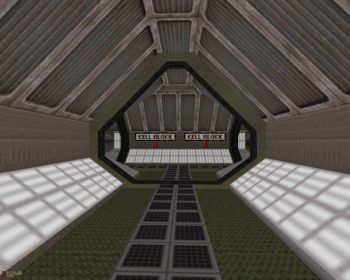 In fact, everything from heavily horizontal gameplay to detailed corridors and rather uninspiring gameplay are still there, if only a bit more refined this time around. The map doesn't really break out of its habits until the last few minutes but even then the map fools you into thinking that a big encounter is ahead, an encounter that materializes into a weak Battlelord guarding the Nukebutton. The zillion corridors and rooms pack quite a bit of aliens and there's always enough bullets to go around and cover to hide behind when needed. So, while the map is quite unsurprising and lacking ambition, it's still a solid shooting gallery especially for those who're looking for around fifteen minutes of fun � la ZDoom.